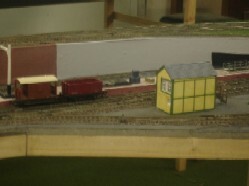 This layout, damaged by fire in 2012, is now being rebuilt as Ebsworth for Reynoldston and extended to include a motive power depot Older End MPD. 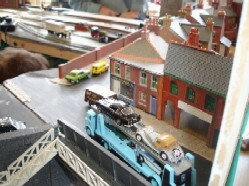 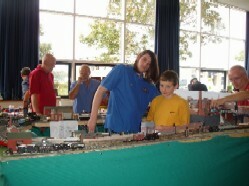 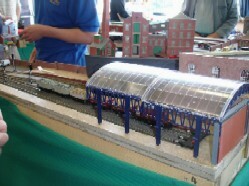 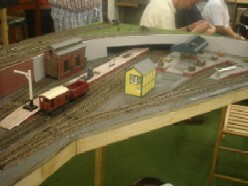 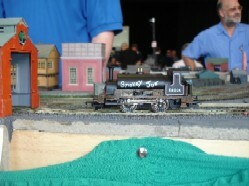 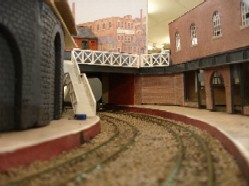 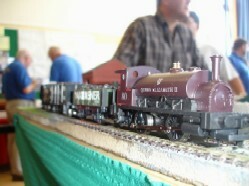 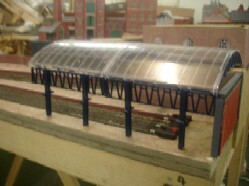 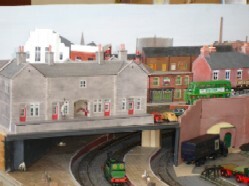 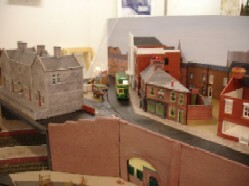 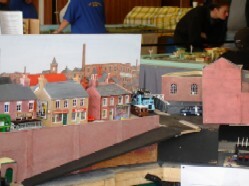 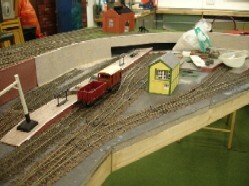 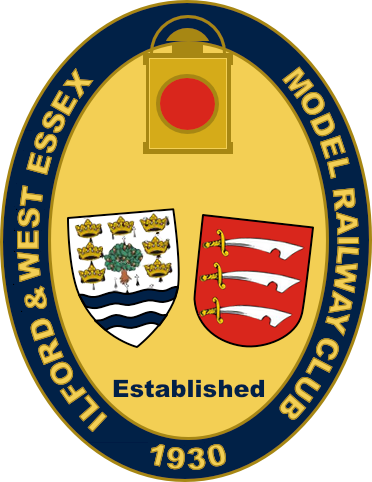 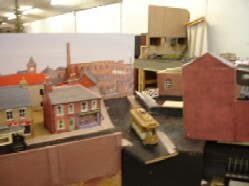 The layout was named after the late 16.5mm section member and former vice president of the club, Dennis Ebsworth. 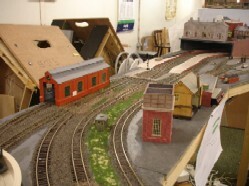 It was constructed to show how relatively easy it is to build a small (9ft x 7ft) layout from easily available proprietry kits and models. 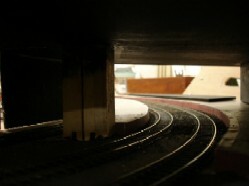 It also satisfies those who like to see continuously running trains. 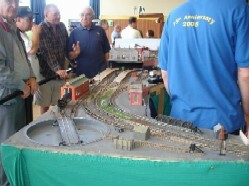 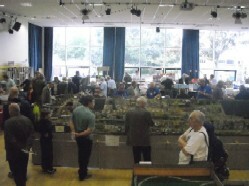 Photos taken at the 2006 Exhibition. 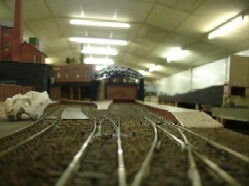 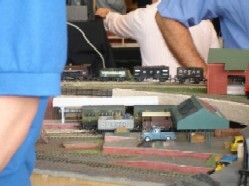 Photos of the layout while under construction at the club house.